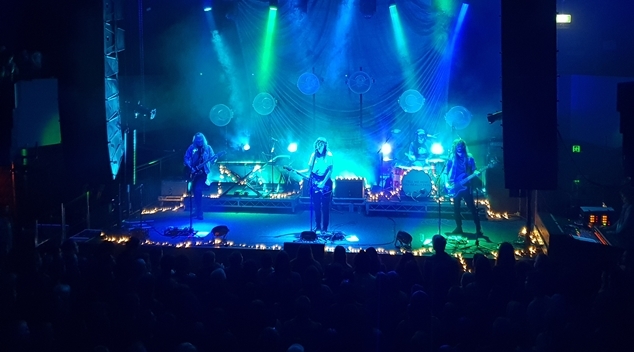 It had been years since I’d been to Metropolis Fremantle but I was confident its size and layout would work well for Courtney Barnett’s gig on Saturday night. On first seeing Barnett’s stage set-up, I had a wee smirk to myself, so simplistic in its design with a keyboard and drums, a mic stand and a string of twinkly lights stretched from one side to the other, there were no smoke and mirrors required, nothing fancy – indicating that what was to come was a down to earth showcase of pure good music. When Barnett appeared, opening with Hopefullessness, the first track on her 2018 album Tell Me How You Really Feel, she immediately captivated the crowd. Her mellow, wistful lyrics were accompanied by gentle strumming on her electric guitar and gradual drums as Barnett invites us to “take your broken heart, turn it into art.” The subsequent numbers run in the same order as the track listing on her album, with Charity next, then Need a Little Time. Barnett’s level of skill with and comfort on the guitar was immediately clear. Through the show’s first quarter, Barnett gradually builds the intensity, until she’s totally rocking out, to the delight of the gathered crowd. She riffed and improvised throughout the show, going off into solos and on tangents, mostly towards the end of tunes. She flipped the guitar over and played it upside down. So comfortable was she with the instrument, it gave her a completely natural stage presence. Her performance appears effortless. You could imagine her practising in her bedroom as a teen, smashing it out to Nirvana. Her playing, together with her strong vocals, offered such a dominating sound that she needed only a two-piece band, a keyboardist and a bassist. She’s later joined by another guitarist who later also offers some effective backing vocals. Avant Gardener was a highlight. It was the tune which first drew my attention to Courtney Barnett following the release of her debut, Sometimes I sit and think and sometimes I Just Sit, in 2015. Everyone is singing along with her; “I’m having trouble breathing in…” While Barnett’s experiences of city (and outer city) Melbourne are present all throughout her song-writing, Depreston showcases some of her best observations and insights into modern Australia. The everyday poetry of her lyrics has such broad appeal. Her chatty, sardonic style remind me a little of Lily Allan, in a good way. Similar pessimistic tones, similar sense of irony. But Barnett has a deeper sincerity about her. And is much more rock. She has created her own, uniquely Australian sound. History Eraser makes the perfect close to an impressive 90 minutes and the crowd, rightly, demands an encore. Barnett selects Pedestrian at Best, appropriately, as her final, final song. She leaves the audience wanting more, but ultimately satisfied. Barnett was magnetic to watch. I remember there being buzz about her at Glastonbury in 2015, just as her first album was released. At the time it felt awesome for a new Australian artist to be immediately creating such anticipation at the iconic festival. It was totally warranted. Listening to Barnett on Spotify won’t cut it for appreciating all her talents. This is an artist who needs to be seen live to be completely understood. 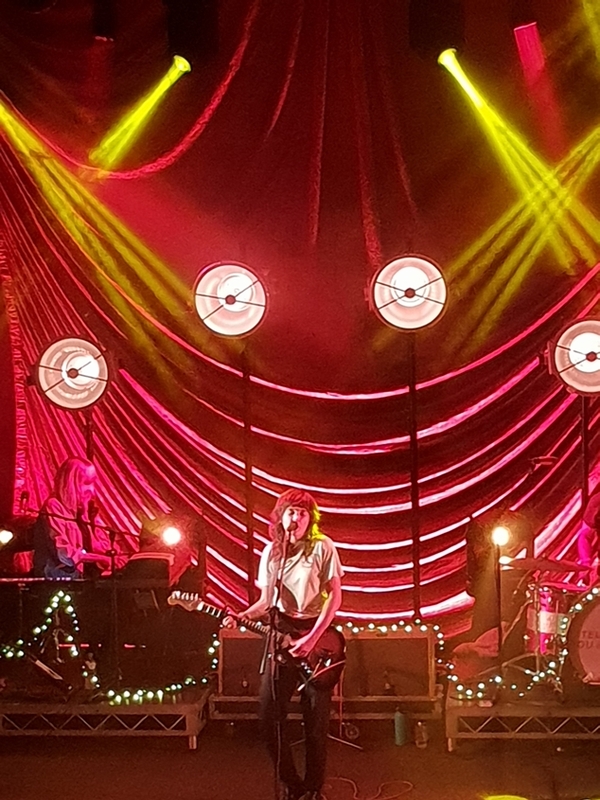 Courtney Barnett is indie, grungy, and badass on the guitar, like Chrissy Hynde or Joan Jett, but at the same time she has an endearing vulnerability about her. I look forward to having her around on the Aussie music scene for many years to come.